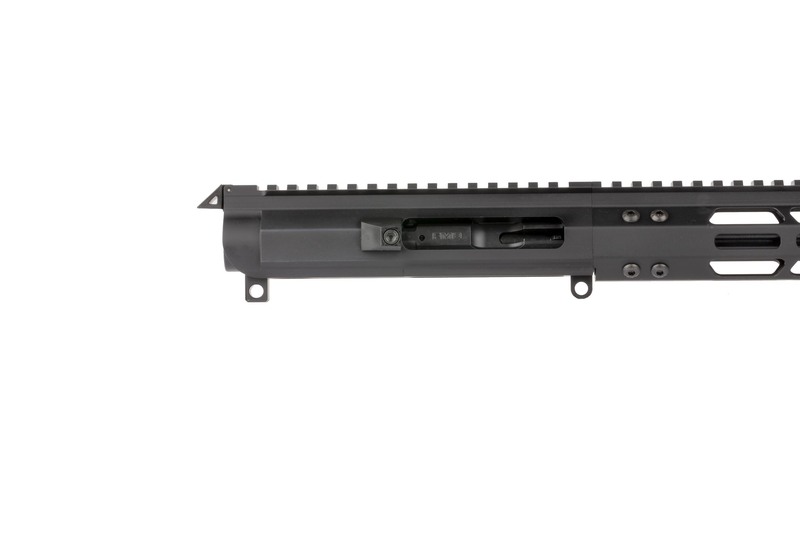 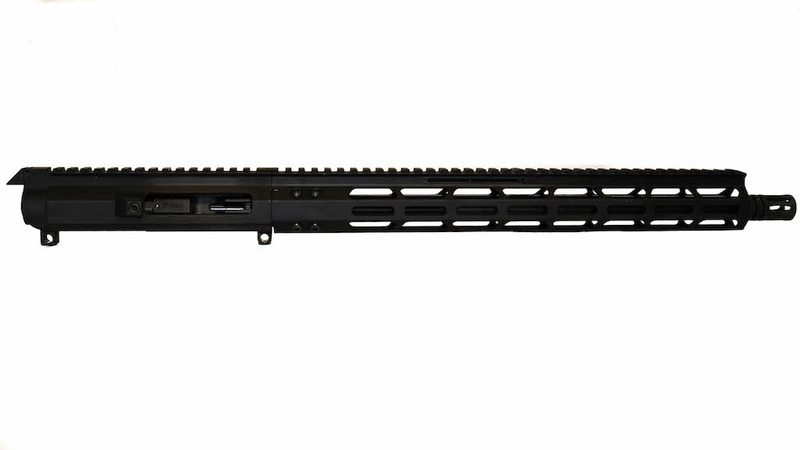 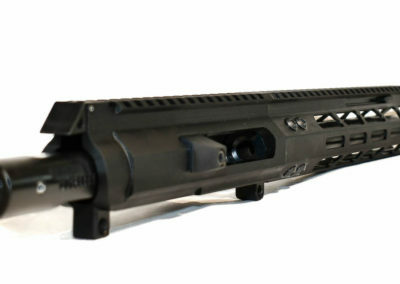 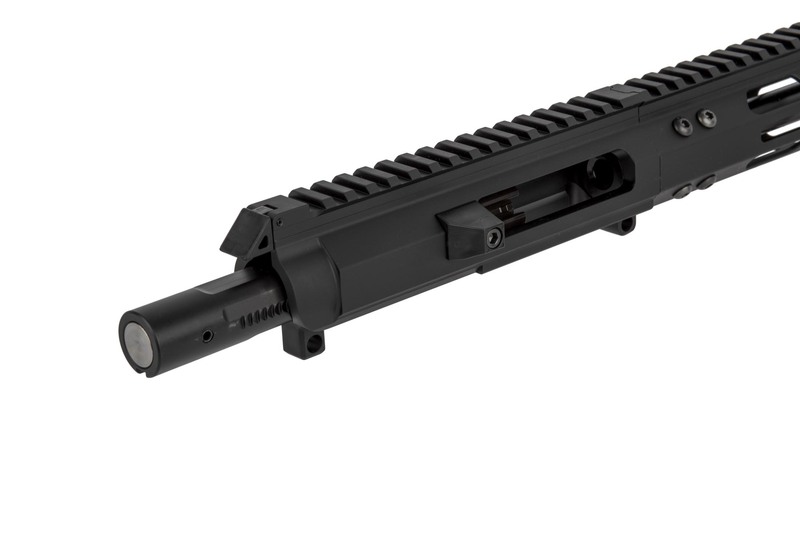 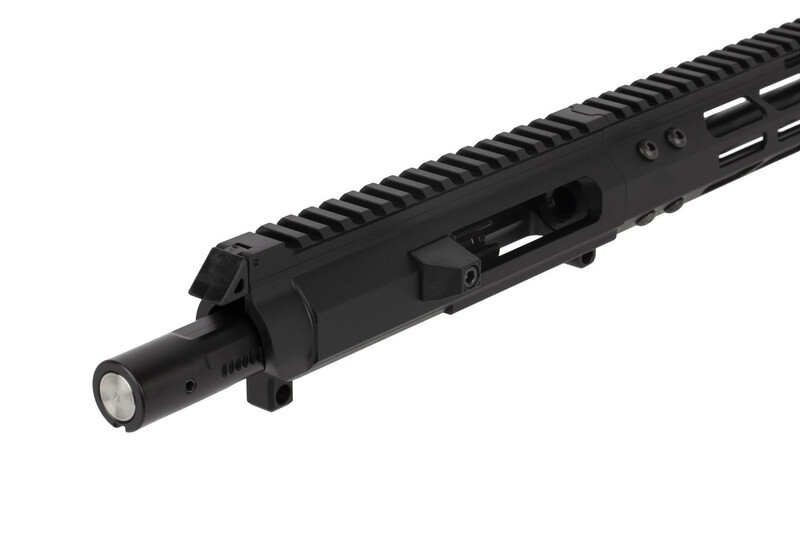 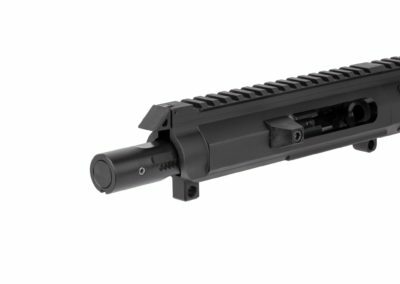 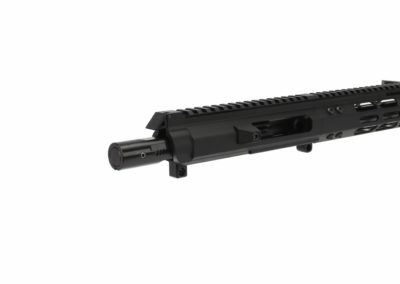 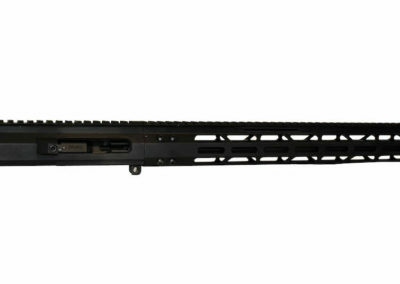 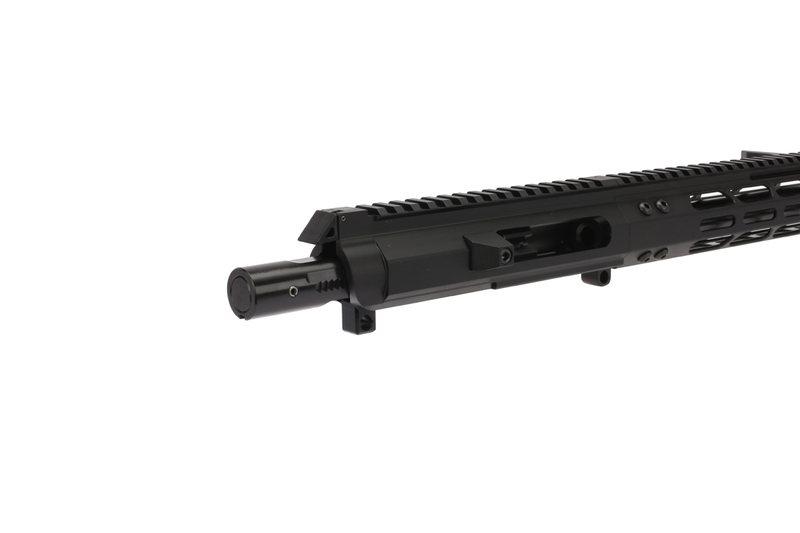 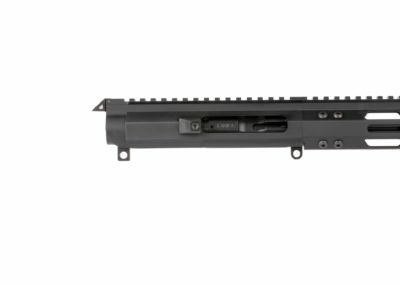 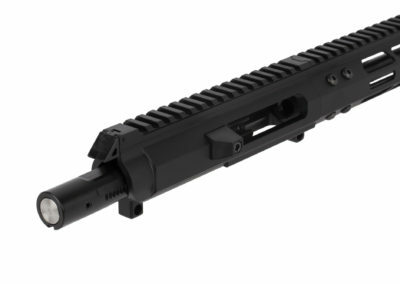 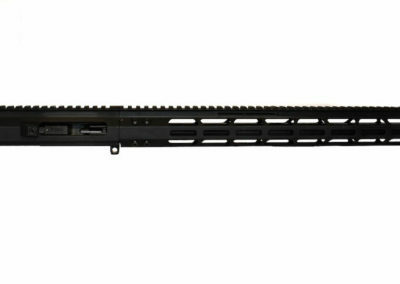 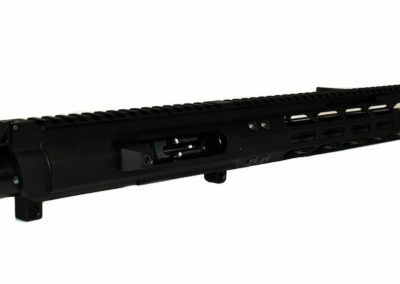 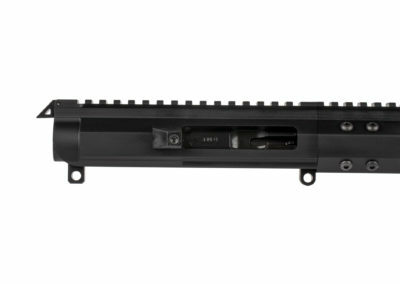 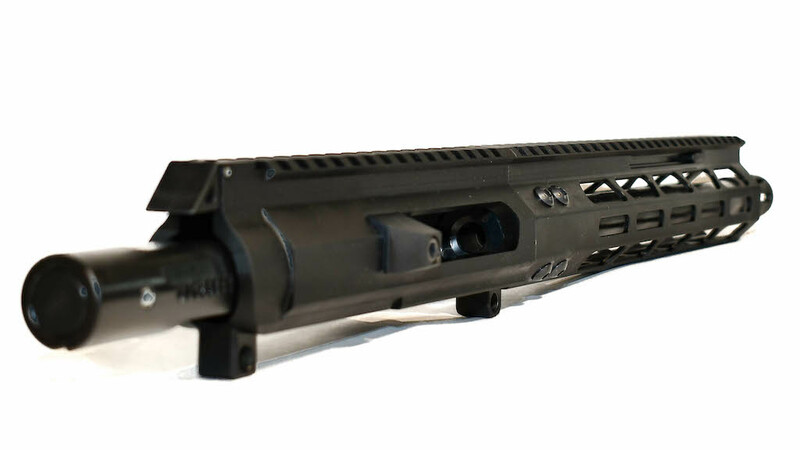 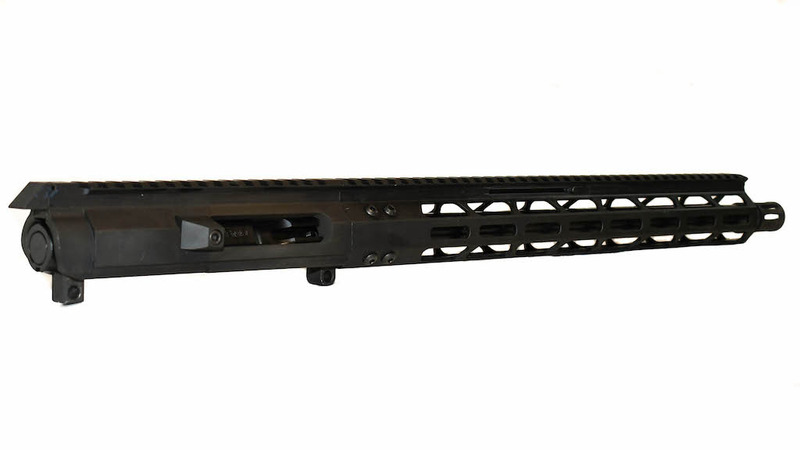 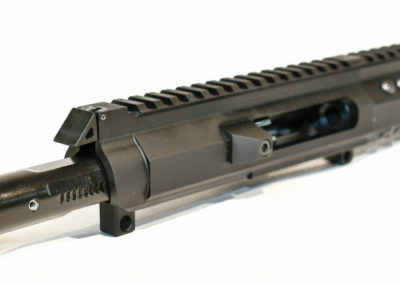 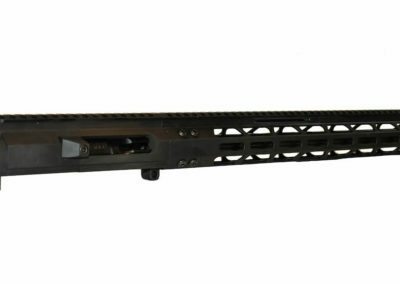 The Foxtrot Mike Products FM-9 Complete 9x19mm Upper Receiver is feature rich and cutting edge. 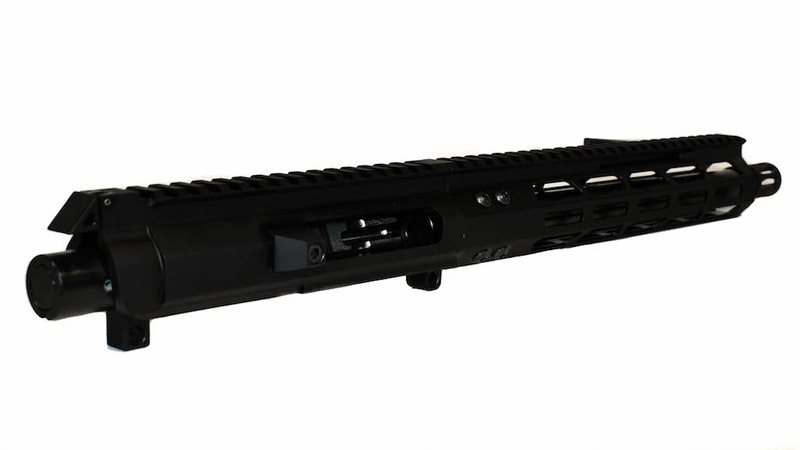 Built from the ground up to provide outstanding reliability and accuracy with a host of top tier features. 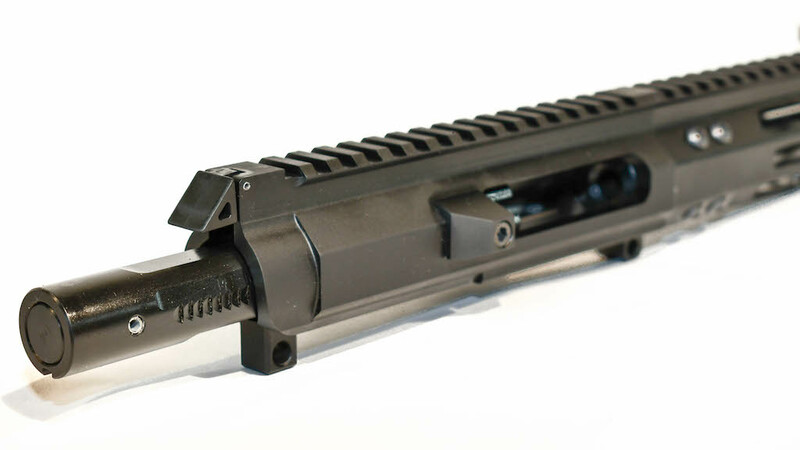 The traditional M4 charging handle has been replaced with an ambidextrous, non reciprocating forward charging handle. 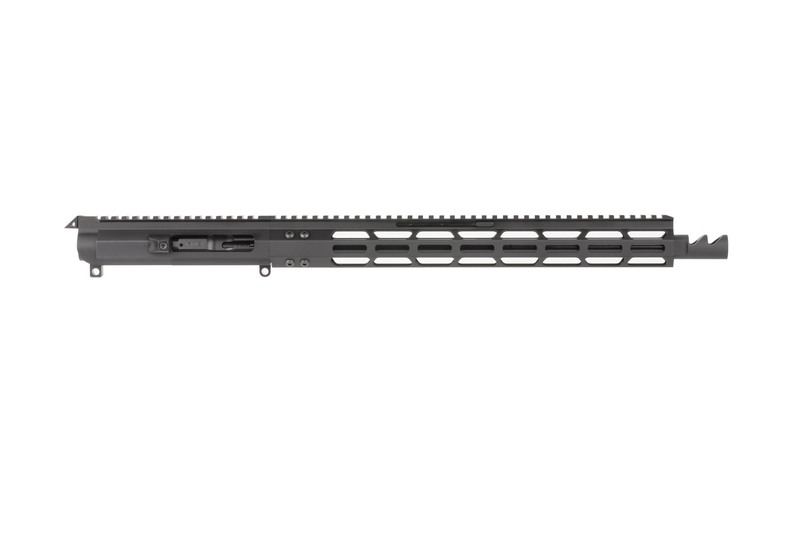 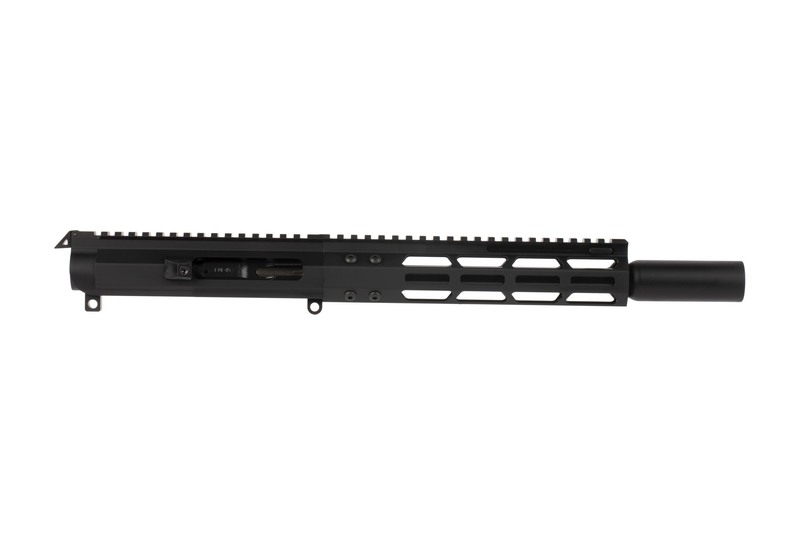 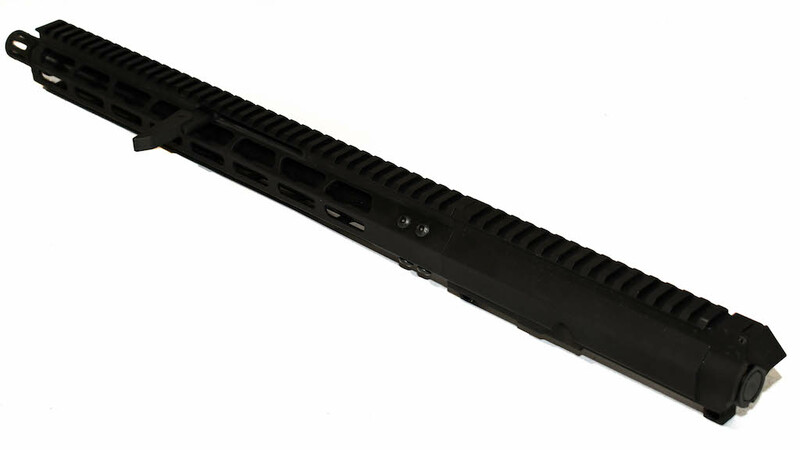 The monolithic style has been achieved with a proprietary interlock between the upper and handguard. 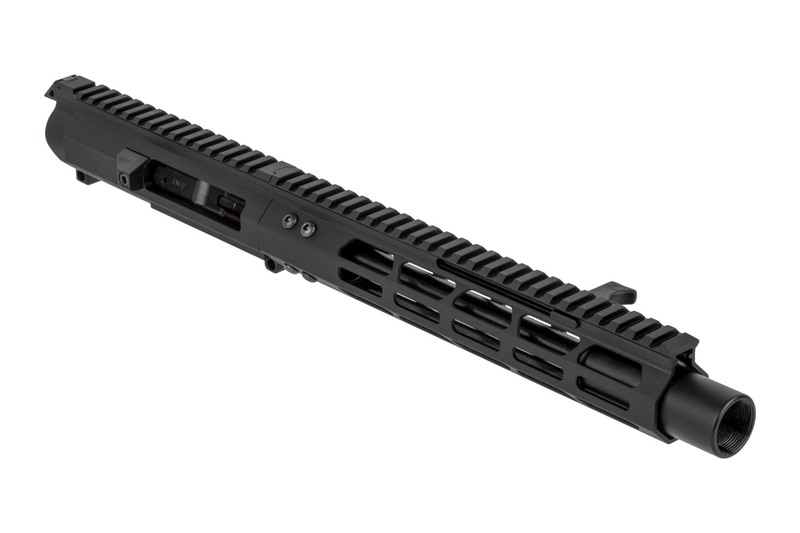 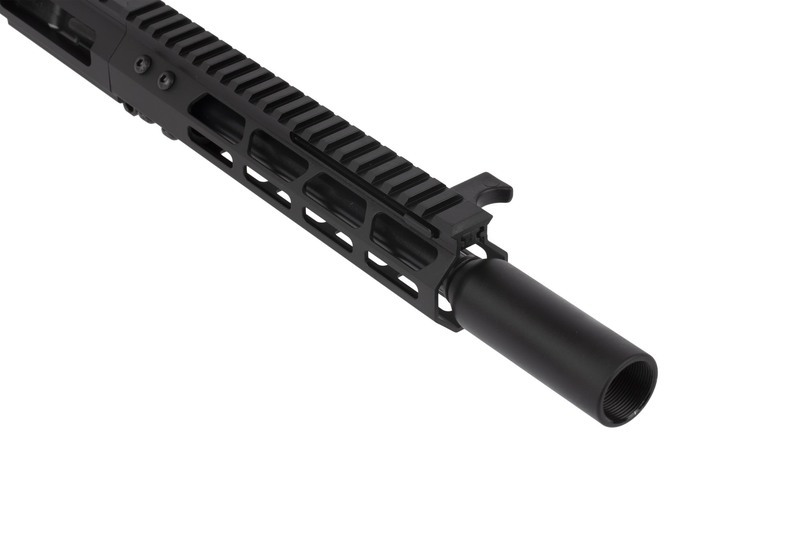 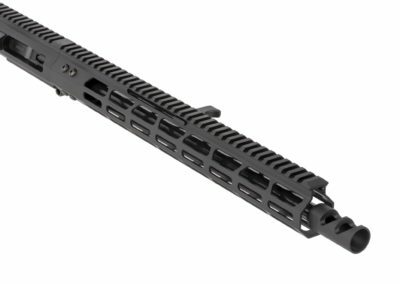 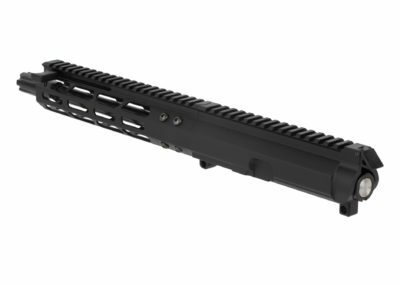 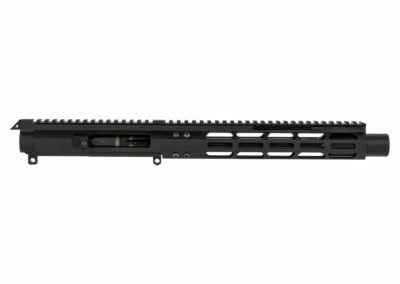 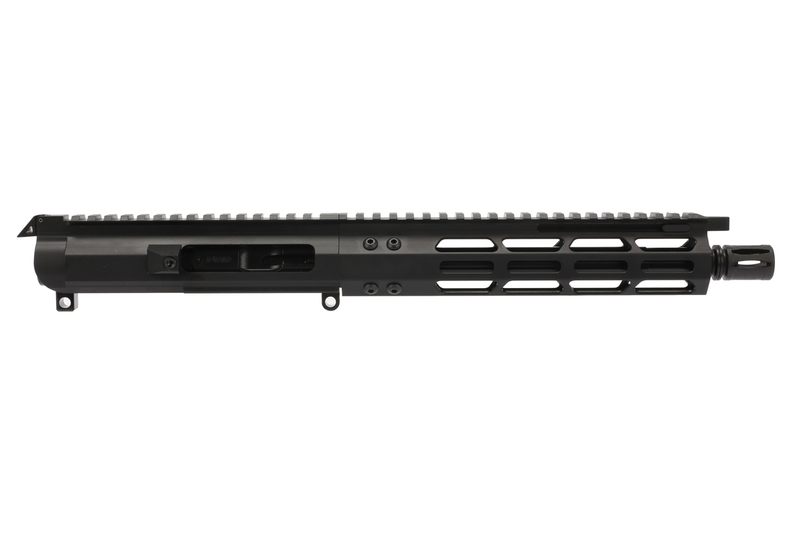 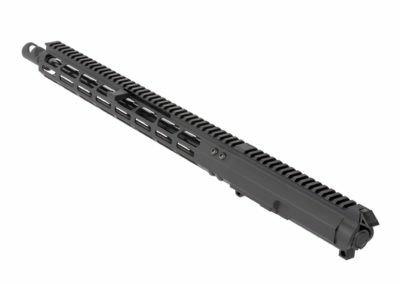 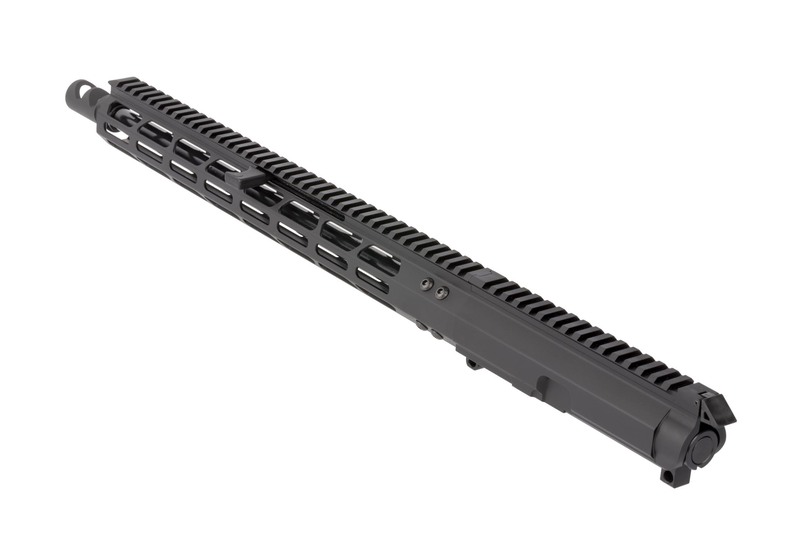 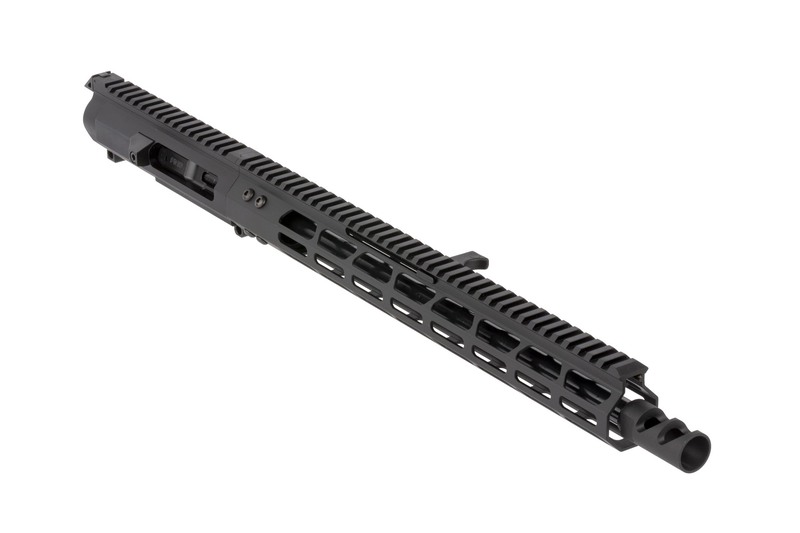 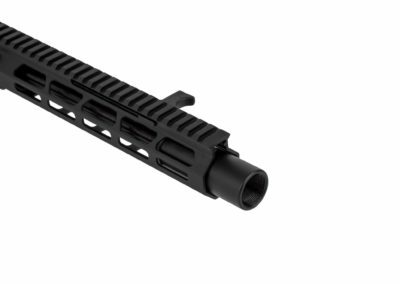 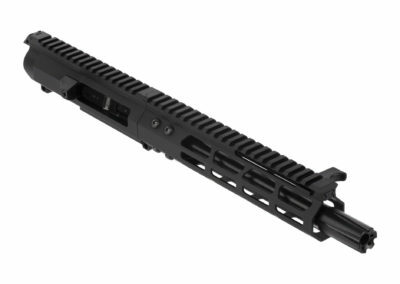 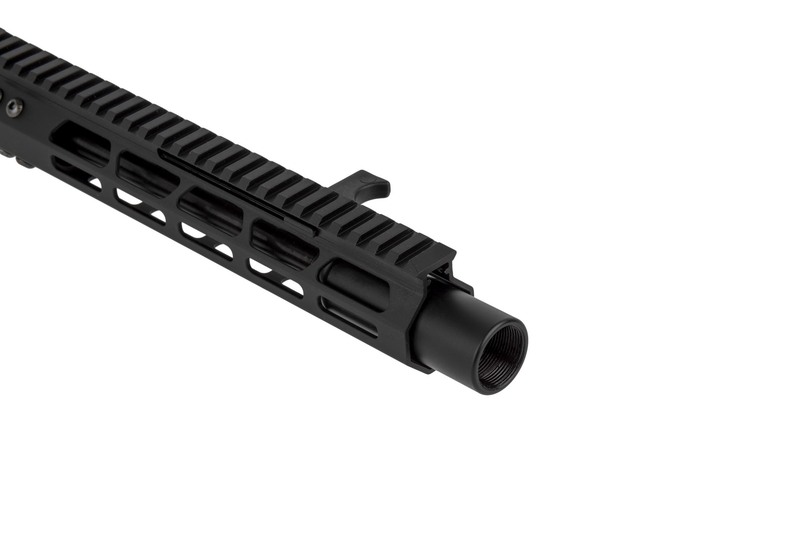 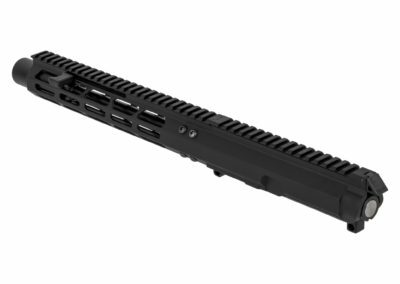 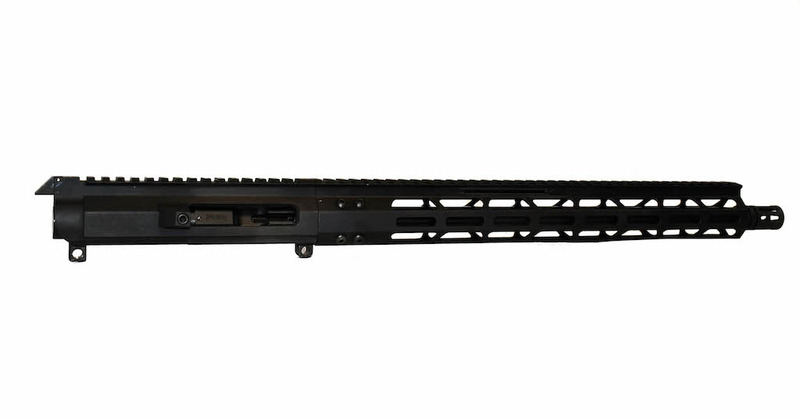 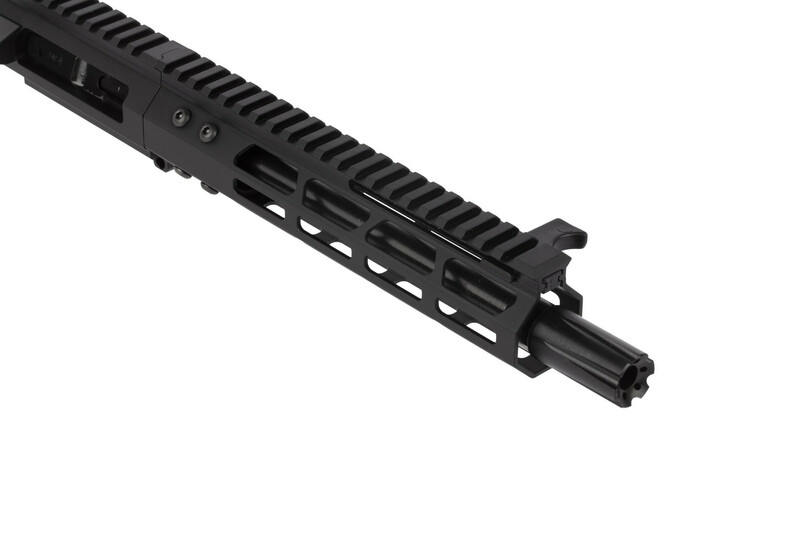 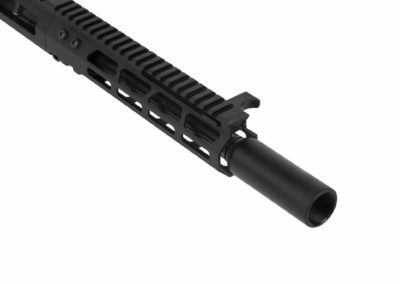 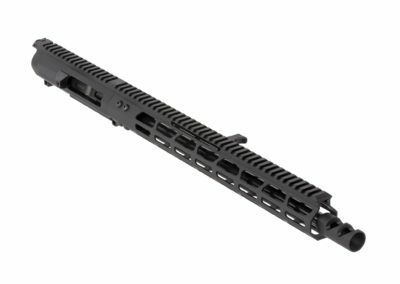 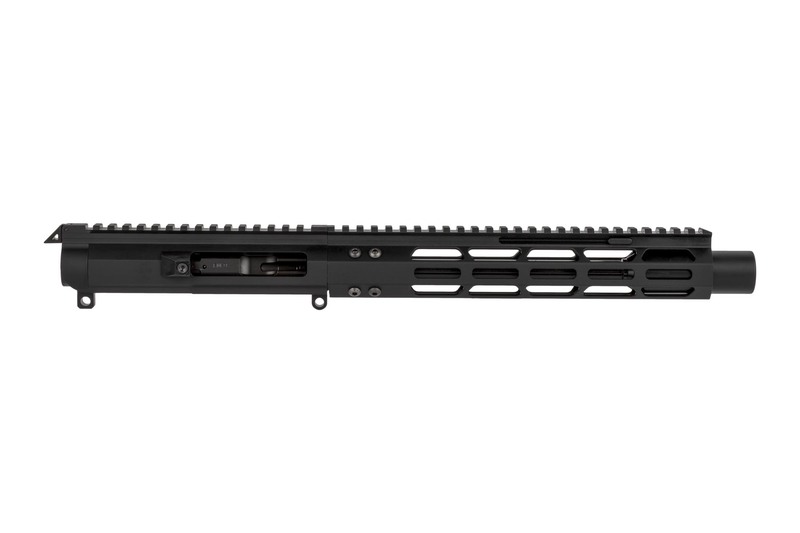 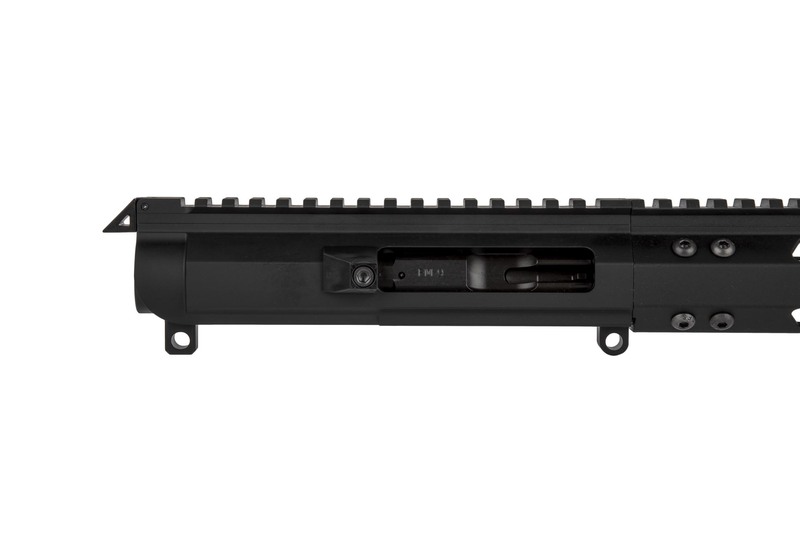 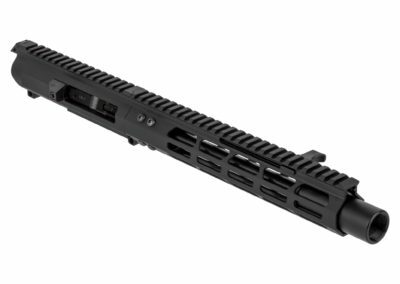 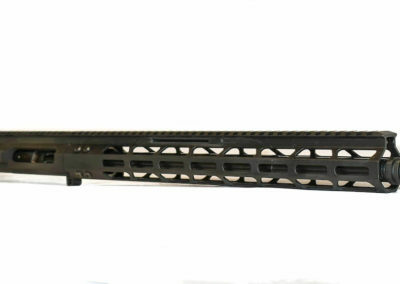 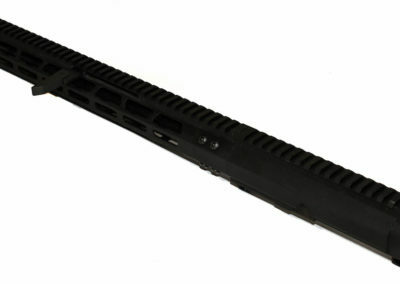 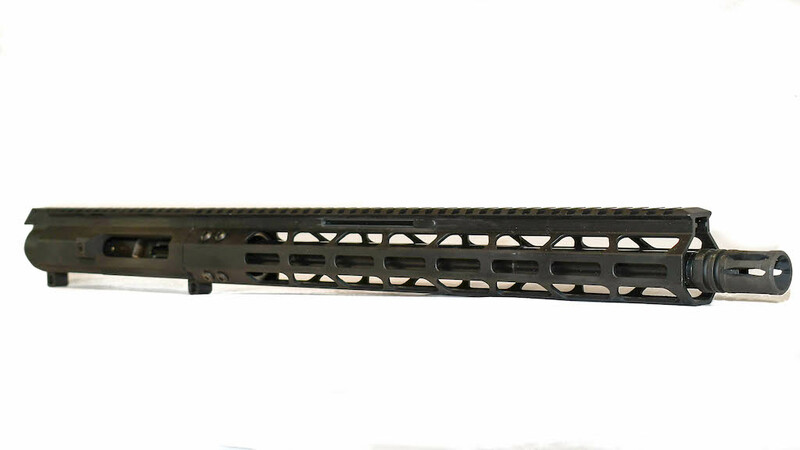 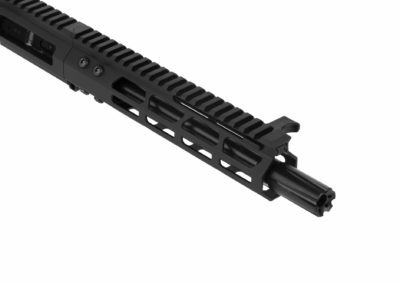 Lastly, the slim-line handguard is M-LOK compatible for your favorite accessories. 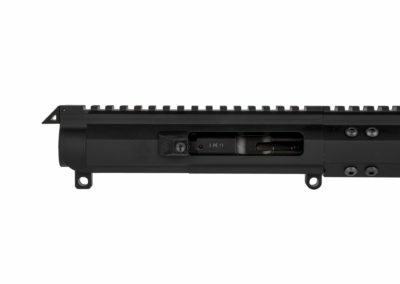 The FM-9 Monolithic 9mm Upper Receiver can be had in three different barrel lengths, so whether you’re building a pistol or a carbine, there’s a setup that’s perfect for your build.